In October, just in time for the start of the 2019 Next Wave Festival (the first season curated by David Binder, our new Artistic Director), we’ll open the doors to the BAM Strong, an array of expansions and new features uniting our spaces along Fulton Street. Designed by architects Mitchell Giurgola with construction by Hunter-Roberts Construction Group, it’ll include building improvements, allow greater accessibility, and expand our institution. Here’s a peek at what’s in store. 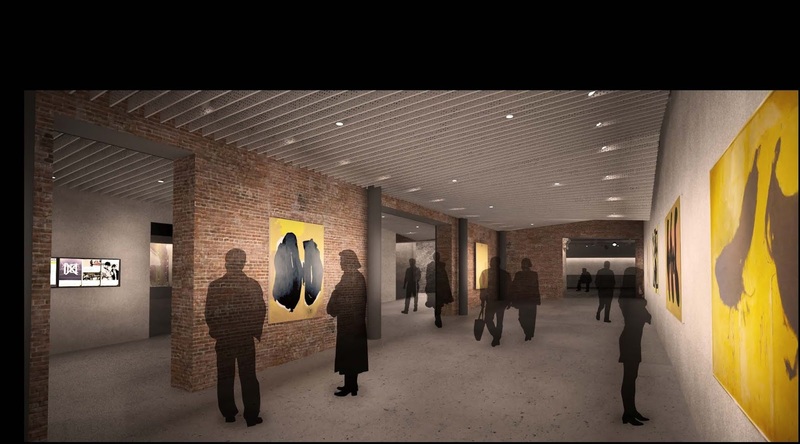 First up: The BAM Strong adds the organization’s first dedicated visual art exhibition space, The Rudin Family Gallery, named for the family of donor, collector, and honorary BAM Trustee Beth Rudin DeWoody. Larry Ossei-Mensah will serve as guest curator for the gallery, collaborating with BAM Artistic Director David Binder on exhibitions and events. The 1,100-square-foot gallery occupies a new one-story construction in the formerly empty lot (623 Fulton Street) between the Harvey Theater and the 230 Ashland Place residential building. 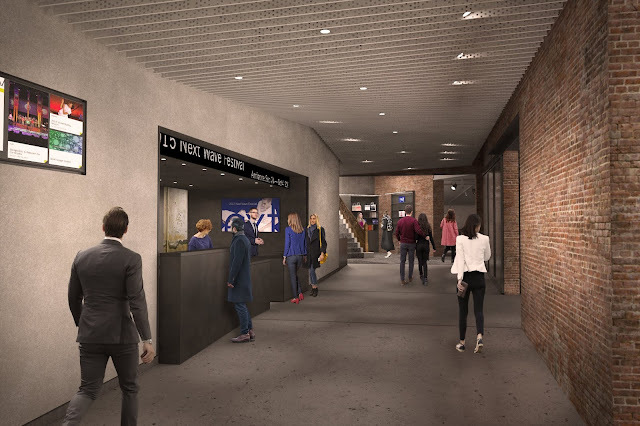 The box office (now opposite its former location) eliminates box office window partitions and provides an open space featuring service kiosks. In addition, a new generous, open staircase, makes each level more accessible and provides easier movement between floors. Doors previously separating the outer and inner lobbies of the Harvey Theater have been eliminated, making the public spaces expansive. 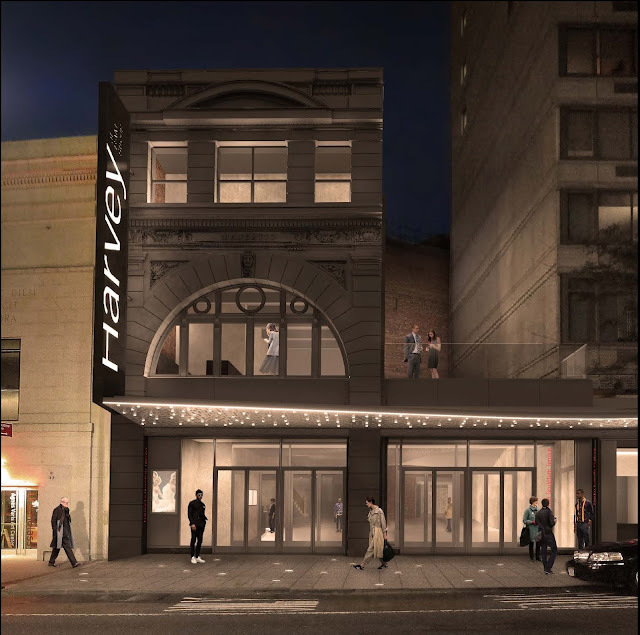 A needed and highly anticipated feature of the BAM Strong is the Harvey Theater’s first elevator to its balcony level, enabling access to the most affordable seats in the 115-year-old structure. Typical of theaters built at the turn of the 20th century, the former Majestic Theater’s balcony was designed with entrance stairs that intentionally separated that audience from those in the orchestra. 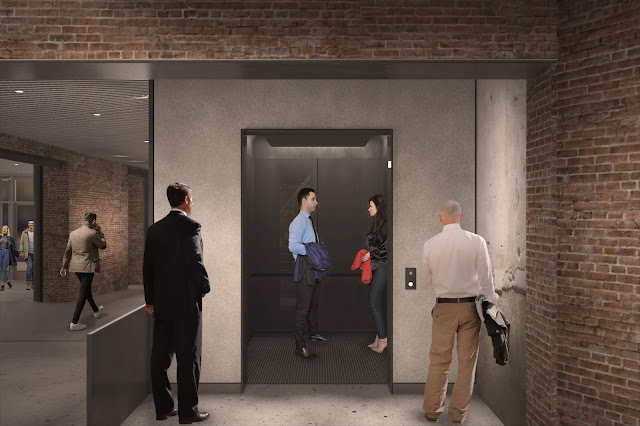 The new elevator, situated well beyond the theater’s entrance, provides direct access between the balcony and the inner lobby, a more porous experience for all, and equitable access for all audience members. On the second floor of the structure is a new patron lounge, the Jessica E. Smith & Kevin R. Brine Patron Lounge, which will face Fulton Street via a beautiful and ornate floor-to-ceiling, semi-circular window. 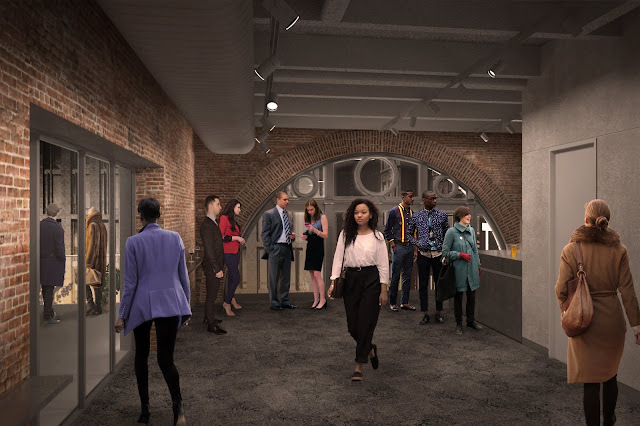 Supported by a former BAM Trustee and her husband, this space will open out onto the Robert W. Wilson Sculpture Terrace, which sits atop The Rudin Family Gallery. Named in honor of arts philanthropist Robert W. Wilson, the sculpture terrace will be the home for an exciting public art installation that will be announced later this year. 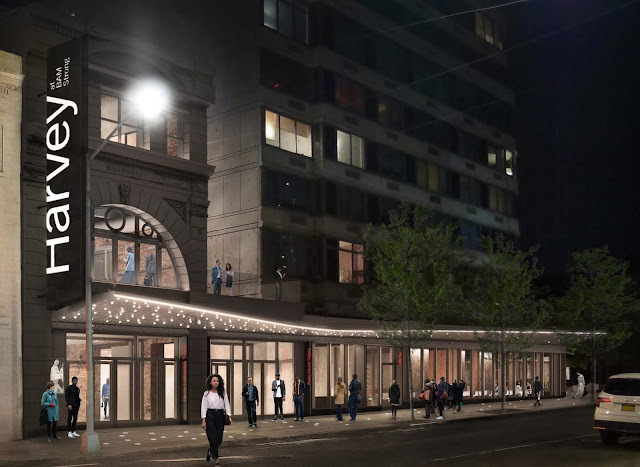 On the ground level and evoking a modern marquee, an undulating, lighted canopy will connect BAM’s Fulton Street sites—the Harvey Theater, The Rudin Family Gallery, and 230 Ashland Place. The latter is the ground level of a residential building which wraps from 230 Ashland Place to Fulton Street and which was acquired by BAM in 2010. Possible uses and operators of that property are currently under consideration.